This weekend (8th & 9th October) sees four shows taking place over two days at Gym Combat in Nottingham, UK, as SWE kicks it off with their Salvation show at 1.30pm on Saturday (doors open at 1pm), with entry being free for those who previously purchased a ticket to 1PW. The matches to take place are as follows: Greg Burridge taking on Kris Travis for the Southside title, an Ice Ribbon match the team of Hikari Minami and Hikaru Shida against the team of Tsukasa Fujimoto and Emi Sakura, an NGW title match between Nathan Cruz and Martin Kirby, and Val Kabious going against T-Bone in a Southside Grudge match. More matches to take place are a DPW title match with Colossus Kennedy taking on Stixx, Ego Dragon being pitted against Shane Spyral, El Ligero and Robbie X going against The Predators, and a match between Dave Mastiff and Mad Man Manson. Pro Wrestling: EVE kicks off their trio of shows against Ice Ribbon later on that day at the same venue, with the first show starting at 7pm and doors opening at 6.30pm. Shows Two and Three are on Sunday, with Show Two (which is also free to those who previously paid for tickets to 1PW) starting at 1.30pm and doors opening at 1pm, and Show Three starting at 5.30pm and doors opening at 5pm. Matches announced so far to take place on Saturday are as follows: a grudge match between Rhia O’Reilly and Super Janey B, Carmel Jacob taking on Kay Lee Ray, an EVE vs. Ice Ribbon match pitting Alpha Female against Hikaru Shida, and another EVE vs. Ice Ribbon match that has Nikki Storm go against Tsukasa Fujimoto. More matches to take place are an EVE vs. Ice Ribbon Tag Team match between the team of Shanna and Erin Angel and the team of Emi Sakura and Hikari Minami, and a Pro Wrestling: EVE Championship match pitting current champion Jenny Sjödin against April Davids. The matches to take place on Sunday at dependent upon the results of Saturday’s event, but one match that is known is that Emi Sakura will challenge the winner of the Jenny Sjödin/April Davids match for the Pro Wrestling: EVE Championship, and if she wins, she will defend the title in Japan. Meanwhile, nCw Femmes Fatales will be holding their Volume 7 “World Summit” tapings at Centre de Loisirs St-Barthélémy in Montreal, Quebec, Canada. Matches to take place are as follows: LuFisto taking on Kalamity for the nCwFF Championship, Angie Skye pitted against Cherry Bomb, Yumi Ohka going against Cheerleader Melissa, and Mary Lee Rose (accompanied by Miss Rachelle) going against Milouu. More matches to take place are a Triple Threat Battle between Portia Perez, Sweet Cherrie, and Tomoki Nakagawa, Tiana Ringer taking on Mercedes Martinez, Xandra Bale being pitted against She Nay Nay, Kellie Skater going against Courtney Rush, and a tag team match between the team of Anna Minoushka and Missy, and the Sherbrooke Connection (Loue and Kira). You can find out more about SWE and purchase tickets and merchandise on their official site at SouthsideWrestling.co.uk, and also interact with them on Twitter (at @SouthsideWE) and Facebook (at Facebook.com/nbwsouthside). 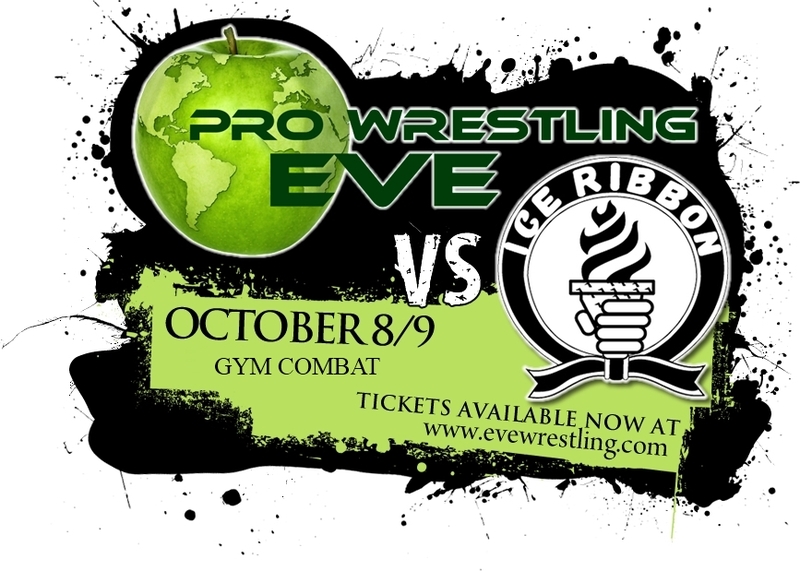 You can find out more about Pro Wrestling: EVE and purchase tickets and merchandise on their official site at EVEWrestling.com, follow and interact with them on Twitter (at @ProWrestlingEVE), Facebook (at facebook.com/EVEwrestling) and YouTube (at YouTube.com/user/ProWrestlingEVE). You can find out more about nCw Femmes Fatales and purchase tickets and merchandise on their official site at nCwFemmesFatales.com, and follow and interact with them on Twitter (at @nCwFF), Facebook (at Facebook.com/pages/nCw-Femmes-Fatales/327013954597), and YouTube (at YouTube.com/user/FemmesFatalesNCW).